A 30-piece orchestra recently performed a classical piece based on the dubstep wunderkind's music, while Based God just coincidentally released a self-described "classical music" album. What the what? Wub wub wub WUB. Wub wub wub WUB. That’s right, two of the most forward-thinking and hotly discussed young artists of the moment can now claim a small role in the grand tradition of Western classical music. Skrillex recently had his tunes turned into an orchestral piece, while Lil B just released his own self-described “classical music” album. Poor ol’ Ludwig Van: He hadn’t seen anything yet. As Reddit points out (via Vulture), the Manchester, U.K.-based composer Steve Pycroft has put together a 10-minute classical piece based on the musical motifs from tracks by Skrillex, who when not playing every festival in sight or crashing rich-and-famous lists is scientifically one of the 100 Greatest Guitarists of All Time. Conducted by Pycroft, Manchester’s own Kaleidoscope Orchestra performs a 30-piece symphonic rendition of the piece. Don’t go waiting for the drop — there aren’t any. But you will hear plenty of furiously played, film-score-ready interpretations of Sonny “Skrillex” Moore’s own “Scary Monsters and Nice Spirits,” “Right In”, and “Kyoto,” plus his great remix of Benny Benassi’s “Cinema.” And given Moore’s acknowledged predilection for Aphex Twin, who has been known to work with orchestras himself, we all probably should have seen this coming months ago. Oh our god! Oh our Based God! As Pitchfork notes, the free-flowing California rapper Lil B recently put a new album, Choices and Flowers, up for sale on iTunes. While Berkeley’s most genial has previously promised a garage-punk album called California Boy, this one he’s billing as classical. To wit: “THE BASEDGOD” HAS MADE HISTORY TODAY HE PRODUCED AND COMPOSED HIS WHOLE CLASSICAL MUSIC ALBUM! HISTORY!! “CHOICES AND FLOWERS” – Lil B.” The results are closer to new age than classical, but as Fader points out, you can stream the whole thing via Spotify. Missing from both “classical” efforts, of course, is the audible presence of the artists themselves: Skrillex and his crowd-shaking sub-bass, Lil B and his relentlessly unsparing self-documentation. Now, popular culture has been out in front of the conservatory at many points over the past 50 year — in fact, New Yorker critic Alex Ross, in his book The Rest Is Noise, describes what he calls “rock’n’roll minimalism” and says that “Public Enemy’s ‘Welcome to the Terrordome’ is the Rite of Spring of black America.” But when pop artists compete with the classical realm best, it’s usually when they’re either being fully themselves (Public Enemy is an outstanding example of that) or when they’re consciously inspired by the avant garde (take La Monte Young’s influence on Velvet Underground, or Terry Riley’s on the Who). 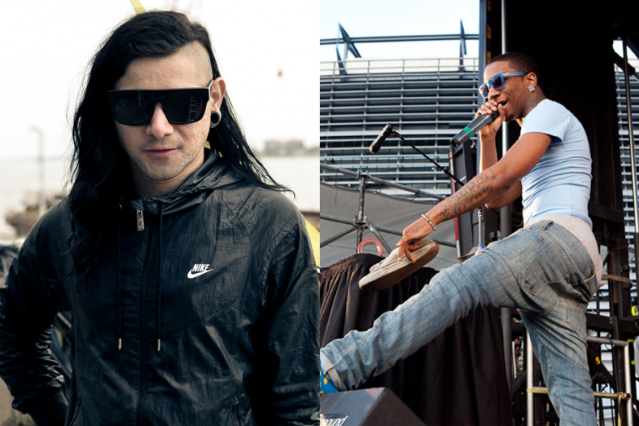 Skrillex and Lil B have so much more to offer us than John Williams soundtrack fodder and sleepy ambient soundscapes. Now won’t somebody please let the bass and/or Based God motherfucking drop already?